The Beltway Sniper continued shooting people. Izzy follows through on his plan to hire a pretty woman to clean his father-in-law’s houseboat. The sunset purpled a little farther into the west. We turned and walked slowly back to the Beeping Sleuty, still clenched together, but our brains were off on separate orbits. When we got back to the houseboat, we sat and embraced on the vinyl bench, and she slung her leg over mine and pressed her face into me. Our lips kissed, but I closed my eyes and thought of Elizabeth. Their tongues are pretty much the same, in the end, but their techniques and tastes are as different as snowflakes. This went on for a while, but one or the other of us eventually grew bored. Evelyn drew back and looked in my eyes again. I was tripping like nobody’s business. But I remembered what my father told that kid at the Magical Mystery Tour and was getting used to it. “I need to get going,” she said. “At some point, I need to go home,” I said, wondering how long it would take until I could possibly do that. It was nearly dark outside. Evelyn stood up and straightened her dress. I wondered where she was off to as she staggered toward the door. I followed after her. Evelyn fished in her purse and pulled out a cigarette. I wished that I had a lighter, but of course, I did not. She lit her smoke and we stood there quietly while she smoked. I was surprised that I enjoyed being downwind of her as much as I did, wondering why people complain about second-hand smoke. Finally, she flicked the cigarette into the water. “This is a non-smoking vessel,” she said, as though she had been deputized her to enforce maritime law. “Are you going to be alright?” I asked. “Sure,” she said, and I was convinced that she actually was. I watched with great pleasure as she hopped from the Beeping Sleuty to the marina gangplank, waved happily to me and vamped toward the rest of her evening. 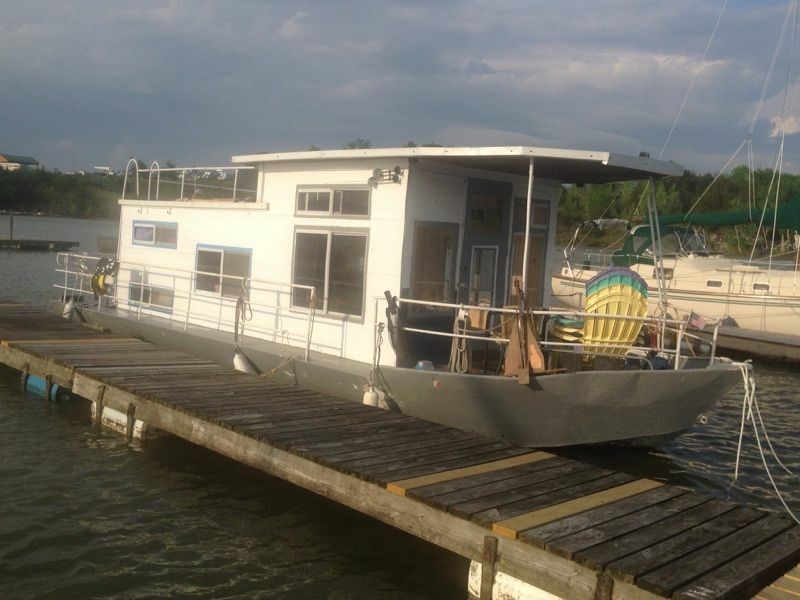 We had never set a time or price for her to maid-up the houseboat. It hardly seemed important. I pulled the other vintage beer from the refrigerator and a bag of stale potato chips and watched a baseball game involving the Anaheim Angels and the Minnesota Twins. The Twins were one of the Senators traitors that had abandoned RFK Stadium, so I rooted—for once in my life—for the Angels. Though I didn’t last to the end of the game, the Angels would homer twice on their way to victory.